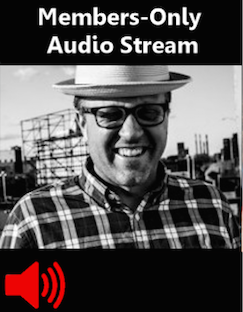 This audio program is a recording of NARIP’s Advertising Music Supervisor Session with Top Music Supervisor Gabe McDonough. You will hear Gabe’s reactions and live feedback to cues and song snippets. This is invaluable to understand his needs, interests and preferences, and you will hear exactly what he is looking for now and for ongoing projects, and the types of music he most frequently needs and licenses. You will also hear his submission preferences, what works and what doesn’t, and why. Anyone seeking music placement opportunities in ads. 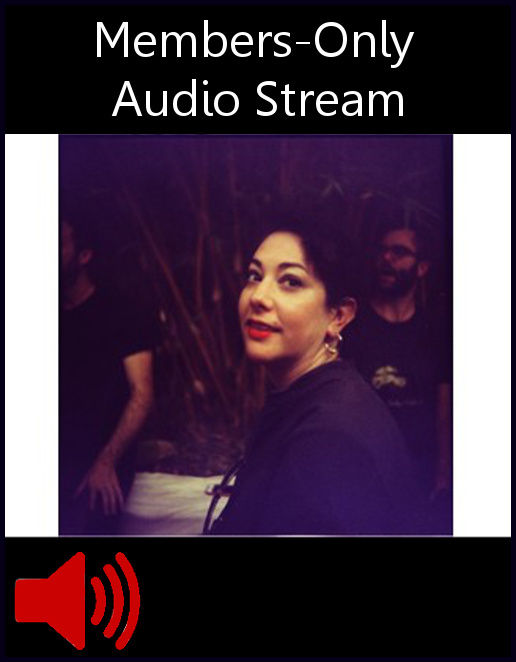 This audio program is a recording of NARIP’s Trailer Music Supervisor Session with Top Music Supervisor Jordan Silverberg. You will hear Jordan’s reactions and live feedback to cues and song snippets. This is invaluable to understand his needs, interests and preferences, and you will hear exactly what he is looking for now and for ongoing projects, and the types of music he most frequently needs and licenses. You will also hear his submission preferences, what works and what doesn’t, and why. Anyone seeking music placement opportunities in trailer. With over 15 years, and more trailer finishes than he can remember, Jordan Silverberg is a veteran of the trailer music supervision world. In the past, he worked at The Ant Farm and Aspect Ratio, before helping launch Transit in 2010. His most recent trailer credits include The Lego Batman Movie, Ghostbusters, Angry Birds, Central Intelligence, Flaked, Bosch, and The Unbreakable Kimmy Schmidt. He lives in Encino with his wife, drives to Santa Monica every day, and gets to bring his dog to work. 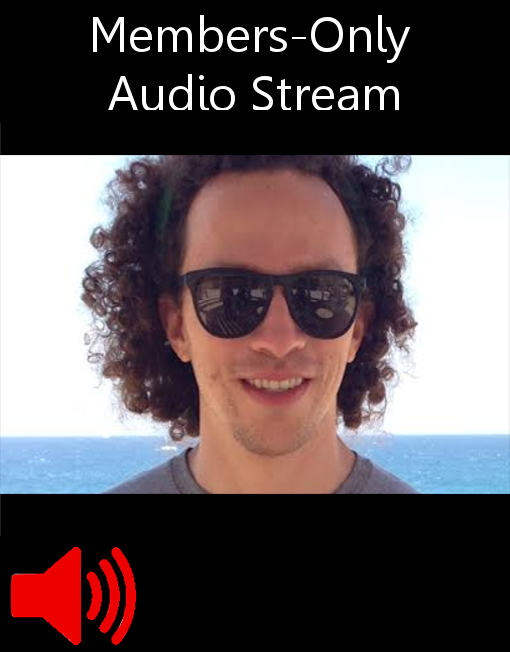 This audio program is a recording of NARIP’s Trailer Music Supervisor Session with Top Music Supervisor Patrick Buchanan. You will hear Patrick’s reactions and live feedback to cues and song snippets. This is invaluable to understand his needs, interests and preferences, and you will hear exactly what he is looking for now and for ongoing projects, and the types of music he most frequently needs and licenses. You will also hear his submission preferences, what works and what doesn’t, and why. Patrick has had the good fortune to work at three trailer houses covering a wide spectrum of entertainment advertising. He has played an essential role in a variety of projects ranging from independent “micro-budget” movies to summer blockbusters including campaigns for The Help, Pain & Gain, The Perks of Being a Wallflower and American Hustle, The Hobbit. In addition to film, he has spent nearly three years working with the Ant Farm’s video game department on blockbuster triple-A titles in the Assassin’s Creed and Call of Duty series – consecutively breaking the previous year’s sales records. Patrick is currently a Music Supervisor with Ignition Creative where he collaborates with artists, producers, and composers to create original,thought-provoking, and (ideally) goose bump-inducing work. A few of his recent projects include Game of Thrones, Interstellar, DOPE, Suffragette, Ballers, The Intern, Slow West, Dark Places, The Night Before, Concussion, and Tarzan. 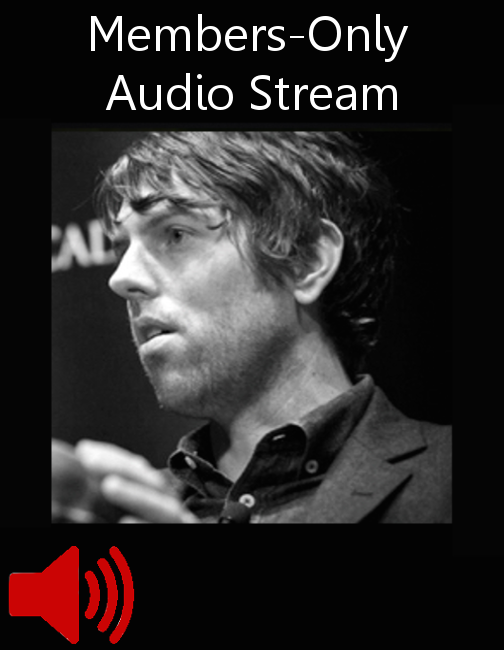 This audio program is a recording of NARIP’s Film & TV Music Supervisor Session with Top Music Supervisor Joe Rudge. You will hear Joe’s reactions and live feedback to cues and song snippets. This is invaluable to understand his needs, interests and preferences, and you will hear exactly what he is looking for now and for ongoing projects, and the types of music he most frequently needs and licenses. You will also hear his submission preferences, what works and what doesn’t, and why. Anyone seeking music placement opportunities in film and television. This audio program is a recording of NARIP’s Film & TV Music Supervisor Session with Aminé Ramer. In this program, you will hear Ramer’s reactions and live feedback to cues and song snippets. This is invaluable to understand her needs, interests and preferences, and you will hear exactly what she is looking for now and for ongoing projects, and the types of music she most frequently needs and licenses. You will also hear her submission preferences, what works and what doesn’t, and why. Get an insider’s peak at how a successful music supervisor does her job and evaluates music. 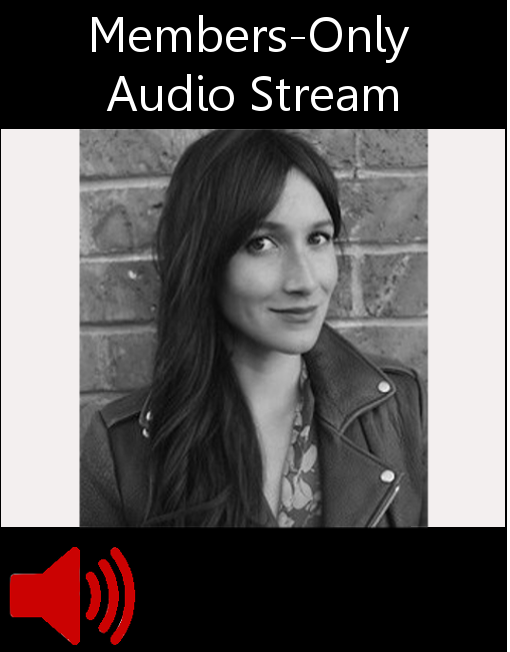 This audio program is a recording of NARIP’s Advertising Music Supervisor Session with special guest Jackie Shuman, Music Supervisor at Good Ear Music Supervision. You will hear Shuman’s reactions and live feedback to cues and song snippets. This is invaluable to understand her needs, interests and preferences, and you will hear exactly what she is looking for now and for ongoing projects, and the types of music she most frequently needs and licenses. You will also hear her submission preferences, what works and what doesn’t, and why. Jackie Shuman is a music supervisor at the bi-coastal curation company Good Ear Music Supervision, known for their award-winning work with brands including Apple, Target, Google, Samsung, Pepsi, Nike, Honda, Nissan, GAP, Chobani, Southern Comfort, Spotify, Sonos and more. Shuman came to GEMS after representing mutli-platinum artists including Sia and Fall Out Boy for licensing as Head of Sync at Crush Management. Prior to that, she worked in film and television licensing at RCA Records in New York and spent years in radio including time at Los Angeles at taste-maker station Indie 103.1 FM. 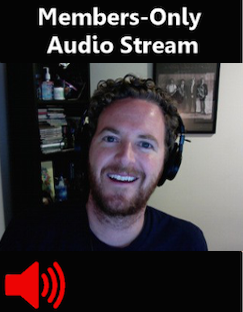 Shuman is based in LA. This audio program is a recording of NARIP’s Film & TV Music Supervisor Session with Michael Hill. He commissions, licenses and places music for global feature films as well as for independent films and television. You will hear Hill’s reactions and live feedback to cues and song snippets. This is invaluable to understand his needs, interests and preferences, and you will hear exactly what he is looking for now and for ongoing projects, and the types of music he most frequently needs and licenses. You will also hear his submission preferences, what works and what doesn’t, and why. Get an insider’s peak at how a music supervisor does his job and evaluates music. 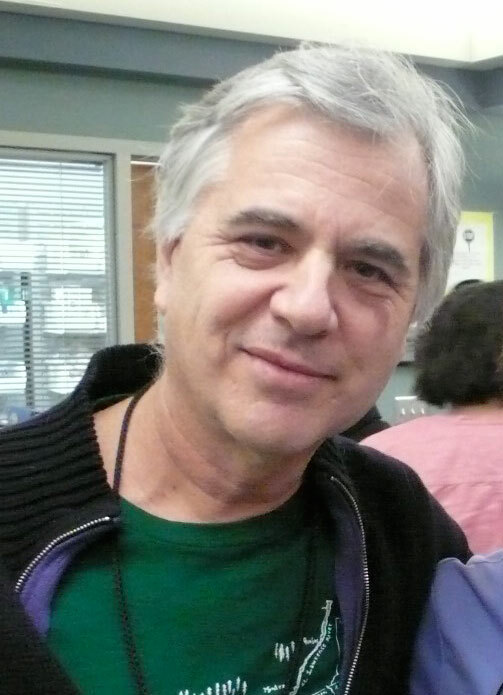 Michael Hill supervises the music for the critically acclaimed Showtime series Nurse Jackie (now in its 6th season and returning to a 12-episode arc) and supervised all three seasons of the HBO series Bored To Death. He is currently working on Laggies, a romantic comedy with Keira Knightley, directed by Lynn Shelton (Touchy Feely, Hump Day). Among his recent projects are A.C.O.D., a comedy starring Adam Scott, set for an October release, and Plus One, a teen-oriented horror film scheduled for September release by IFC Films. He also worked on writer-director Ramin Bahrani’s At Any Price with Zach Efron and Dennis Quiad, released in April by Sony Pictures Classics. Recent pilots have included Life&Kids with Debra Messing for CBS and The Untitled Michael Lannan Project for HBO. Previous film work includes Todd Solondz’s Dark Horse, John Cameron Mitchell’s Short Bus and Last Chance Harvey with Dustin Hoffman. Michael is also program director for the non-profit Musicians On Call, which brings live music to healthcare facilities throughout New York City, and helps to curate the annual Tibet House Benefit Concert at Carnegie Hall, under the artistic direction of Philip Glass. Michael began a career in music supervision after 15 years in A&R at Warner Bros. Records, where he worked with such artists as the Replacements, Luka Bloom and Soul Coughing. He also writes about music, most recently contributing liner notes to a boxed set of Tindersticks’ scores for the films of Claire Denis. # # #BUY NOW: Only $69.95. Click the ADD THIS TO MY CART button below to complete your purchase online using PayPal. Alternatively, please call 818-769-7007 to make a purchase by phone using any major credit card, or mail a check payable to NARIP to Post Office Box 2446, Toluca Lake, CA 91610-2446 USA. If mailing a check, please be sure to indicate which program(s) you are purchasing! This audio program is a recording of NARIP’s Film & TV Music Supervisor Session with Paul Logan. Manager of Creative Music Integration at VH1, Logan commissions, licenses and places music for VH1 television shows including Basketball Wives, Black Ink Crew, and the upcoming scripted series, Hit the Floor and others. You will hear Logan’s reactions and live feedback to cues and song snippets. This is invaluable to understand his needs, interests and preferences, and you will hear exactly what he is looking for now and for ongoing projects, and the types of music he most frequently needs and licenses. You will also hear his submission preferences, what works and what doesn’t, and why. Paul Logan has 7 years across VH1 and MTV in both the Los Angeles and New York offices. He is currently a Creative Music Integration Manager at VH1 in Santa Monica, implementing featured music placements for a wide range of programming. Current projects include Basketball Wives, Black Ink Crew, and the upcoming scripted series, Bounce. Other credits include the Single Ladies movie and series, Couples Therapy, Basketball Wives LA, Chrissy & Mr. Jones, Styled By June, Baseball Wives, Saddle Ranch, Beverly Hills Fabulous, Audrina, and others. 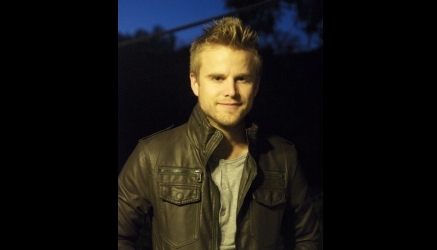 Paul’s previous experience includes Music & Talent Relations at MTV and Music Marketing at VH1. BUY NOW: Only $69.95. Click the ADD THIS TO MY CART button below to complete your purchase online using PayPal. Alternatively, please call 818-769-7007 to make a purchase by phone using any major credit card, or mail a check payable to NARIP to Post Office Box 2446, Toluca Lake, CA 91610-2446 USA. If mailing a check, please be sure to indicate which program(s) you are purchasing! Featuring Trailer Park’s Bobby Gumm (Up, Avatar, The Dark Knight Rises, Brave), one of a 10-part series w/ top trailer music supervisors in LA. This audio program is a recording of the NARIP’s Trailer Music Supervisor Session with Bobby Gumm, Music Supervisor at Trailer Park. Gumm commissions, licenses and places music for global movie trailer and promotion campaigns for some of the world’s biggest blockbusters. You will hear Gumm’s reactions and live feedback to cues and song snippets. This is invaluable to understand his needs, interests and preferences, and you will hear exactly what he is looking for now and for ongoing projects, and the types of music he most frequently needs and licenses. You will also hear his submission preferences, what works and what doesn’t, and why. Placement is the new radio. Get an insider’s peak at how a music supervisor does his job and evaluates music. Anyone seeking music placement opportunities in film & TV trailers and promotion campaigns. 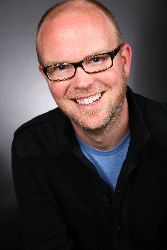 Bobby Gumm is a Music Supervisor at Trailer Park, a large multi-faceted ad agency that specializes in movie trailers. Prior to Trailer Park he began his career at Intralink Film and then spent several years with Flyer Entertainment. With almost a decade of music supervision experience, Gumm has supervised well over one hundred trailers including Batman Begins, Up, Avatar, J Edgar and Batman: Arkham City. Some of his recent credits include trailers for The Dark Knight Rises, Anchorman 2, The Great Gatsby, Brave, and Horrible Bosses. NARIP-P201: Recorded on Feb 23, 2012 in Los Angeles with Big Picture Entertainments Music Director Marcy Bulkeley. www.narip.com, info@narip.com, 818-769-7007. © 2012 NARIP. All rights reserved. Unauthorized duplication prohibited.